When wearing this original and unusually designed dress, you can be assured that when roaming the streets, you won't see anything remotely similar to this fashionable piece. It perfectly combines soft elastic forms of knitted cotton and polyester together with glittering sequins. With flattering knotted straps at the back, this dress will look great on any type of figure. 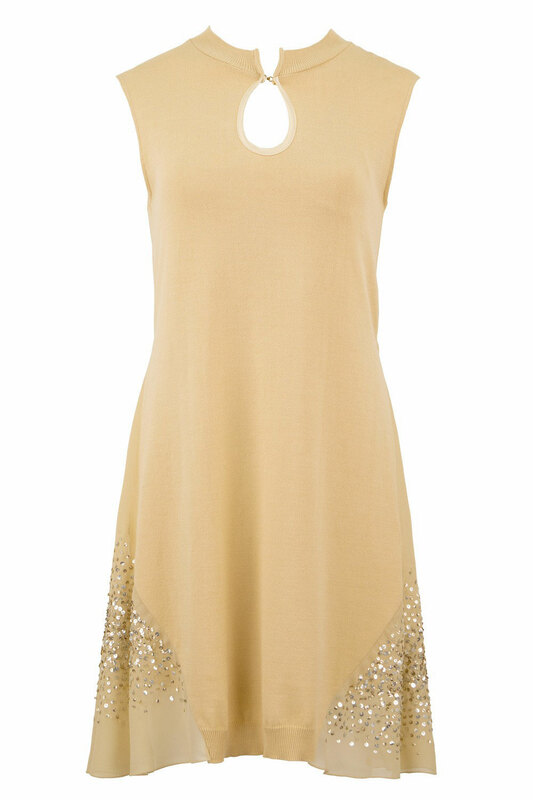 On our website you will find this sequin dress presented in three colours: turquoise, brown and beige.